JCDecaux has partnered with Martell to launch a data-led, interactive campaign. This is to promote Martell’s new limited release, Martell Single Estate, at Singapore Changi Airport. Aimed at Chinese travellers, the campaign uses Dynamic Solution and WeChat Shake Solution, an application popular with Chinese. It targets passengers boarding flights to eight selected Chinese cities, this includes Hong Kong, Shanghai, Beijing, Fuzhou, Guangzhou, Xiamen, Shenzhen and Chongqing. 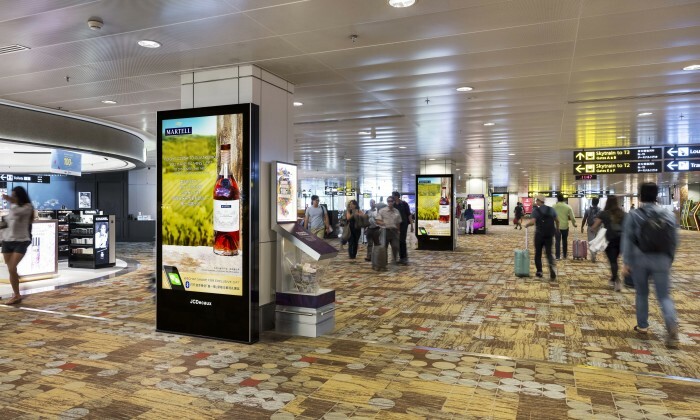 Flights that were within 45 minutes to two hours were displayed on the digital screens with a message encouraging passengers to make the most out of their waiting time by discovering the Martell New Single Estate at the nearest main Duty-Free Store. The nearest duty-free store’s distance was also calculated through the use of GPS coordinates. These distances were then tagged to the screens to guide targeted passengers from their current locations to the main duty-free stores, when there is no flight information available to the selected cities. This action rewards the passengers with redemptions of samples of Martell Cordon Bleu at the DFS. According to JCDecaux, the campaign was a success with a 91% unique click-through-rate from WeChat Shake. Martell also reported a redemption rate of 67%, of which 60% led to purchases. Microsoft is opening its first retail store in Hong Kong, also the first one in Asia, to compete with its biggest rival Apple. ..
Chow Tai Fook Jewellery's Sam Choy discusses how to build customer loyalty through electronic stamps and an online members' club f..
Facebook has just opened up its new office in Malaysia and hired Tan to lead the operations. More here. ..